Tastes constantly evolve, so as I mentioned in my first version from November 2015, I intend to periodically revise my top ten games to see how things change and share any new games that have impressed me. This reflects my favorite things to play right now. I love everything on this list. Order is pure personal preference and whole list HIGHLY subject to change and reshuffling, as ten is a small number to cover all the great games I’ve played and something’s bound to be missing. I need to have played something at least twice for it to be eligible. I think something has to hold up to at the very least a second play to be considered a favorite. So Imperial Assault (still), Trickerion, Relic Knights, and Samurai (and several others) all get automatic honorable mentions, but may very well make it into this list in the future. Some games have been replaced here simply because of other games that suit my current tastes (and those of my group) just a little more. Alhambra, Pillars of the Earth, and Anima are all still fantastic games well worth seeking out / trying. Expansions I have are considered with the base game and won’t be listed separately. The write-ups for reappearing games were changed only as needed. Blueprints is a great pick up and play that’s extremely easy to teach and plays quickly, which makes it valuable to have on hand for in between longer games. However the setup and nuances make it more than just filler and add a reasonable amount of strategy and depth. It’s quirky, well designed, and most importantly fun. The debut game from Stonemaier, which instantly made them one of my favorite publishers. 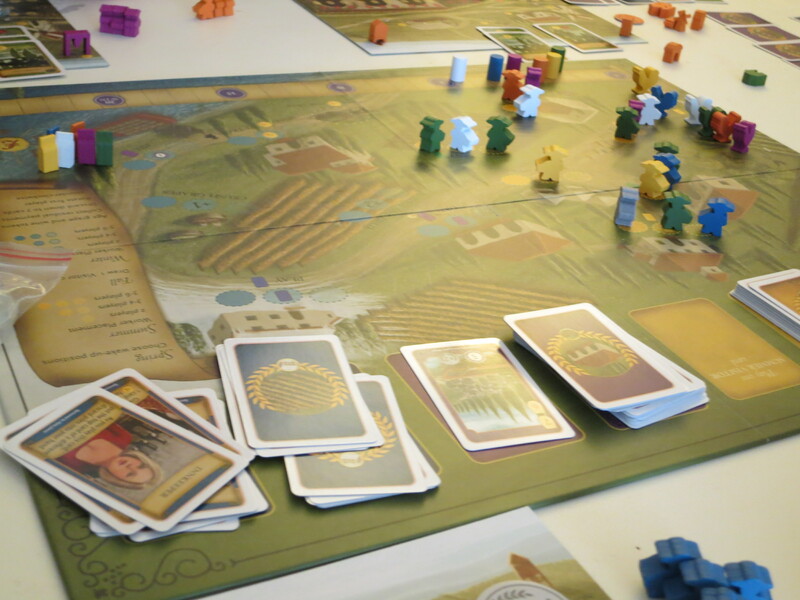 Beautifully realized worker placement game that is just completely infused with the unlikely theme of winemaking. The Tuscany expansion adds several great aspects that make it even more amazing, and the game scales incredibly well and feels like the same game no matter the player count. As usual with Stonemaier the production quality is absolutely unreal, with individually shaped building pieces and gorgeous art elevating the immersion. This slips a bit due to other great two player games I’ve been able to try recently, limited opportunity to play two player games in general, and tough competition from multi-player games. 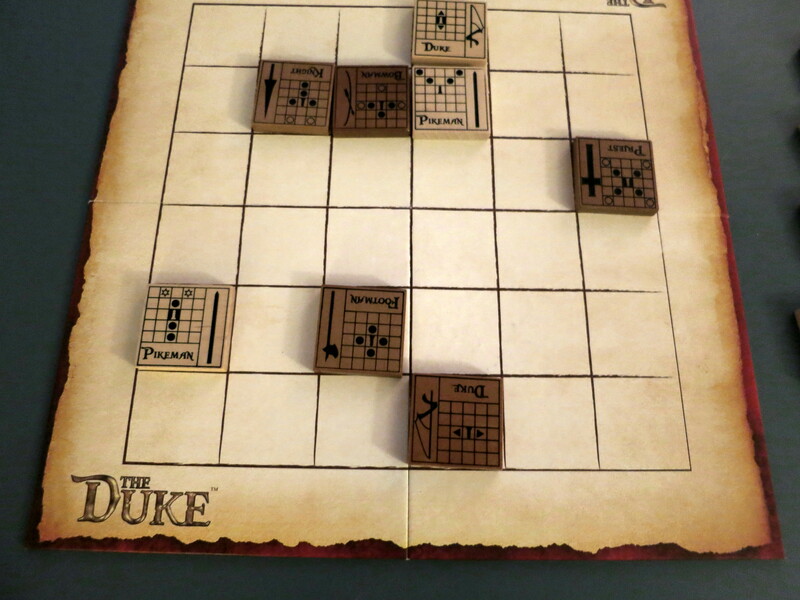 Still The Duke is an incredible two player game with elements of chess reworked into a much more accessible and variable experience. The vast number of movement patterns allows for deep gameplay, yet the smaller board and limited starting pieces keeps things manageable. The combination of each piece having its movement grid printed on it and the fact that the pattern is different on each side is just fantastic, and makes this both incredibly new player friendly and deep. At this point I’ve played so many games that something that seems to have a truly original approach intrigues me greatly. Mysterium is a wonderful asymmetric cooperative game that has a departed ghost trying to guide psychics to the culprit of its murder through sending “visions” consisting of cards with abstract art. 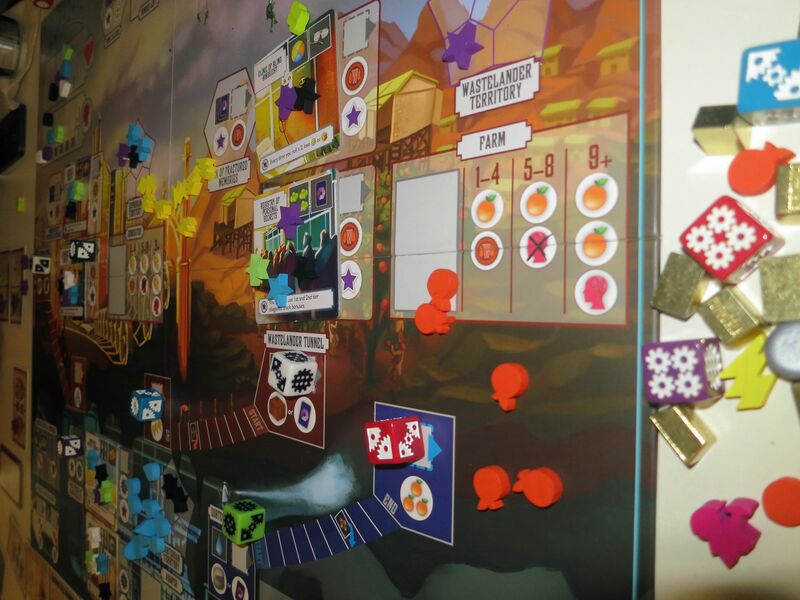 It adds a more structured and “complete” feeling game to the base mechanics of Dixit. The hope is that the cards played by the ghost will indicate specific cards on the game board to the psychics, who are working together and can discuss as needed. 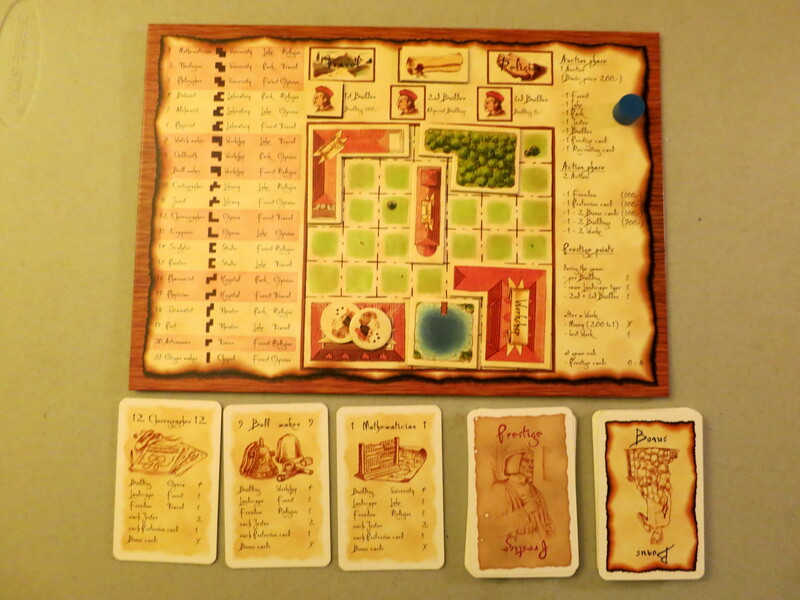 It plays best with 4 or more players, but that’s not much of a limitation since it accommodates up to 7. Lots of fun. Fantastic co-op game that’s fairly easy to teach but has a lot of variation and depth. Best on its own or with Ghost Moon (Black Secret has fallen flat with my group so far). Notorious for its difficulty, but we’ve found it challenging rather than frustrating. 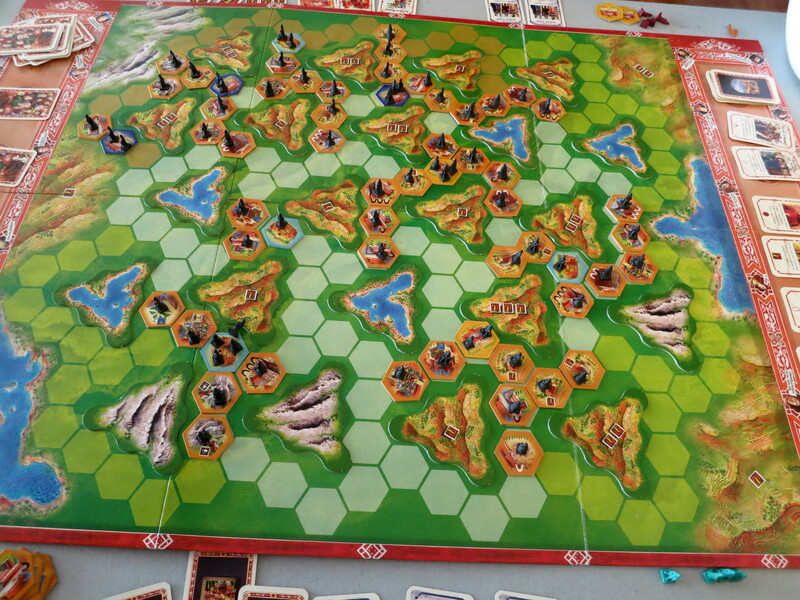 The changing board, player powers and enemy cards make every game significantly different, which greatly aids its longevity. It’s also great to have a go to co-op game on hand, as many of my “non-gamer” friends have really enjoyed trying something that has them working with, rather than against, the rest of the group. Stonemaier Games’ second offering, a fantastic dice-as-workers game with an incredibly unique theme of trying to achieve prestige and status in a dystopian world. Little touches like artifact cards depicting objects from today’s world and trying to keep your workers happy and stupid bring the theme to life and it’s very well intertwined with gameplay. Also, the production quality is absolutely unreal, with realistic resources, wooden commodity pieces, wonderful art, etc all making this as great to look at as it is to play. As time goes on I personally find it just a little more compelling than Viticulture, which is why Euphoria leapfrogged it this time around. La Citta is fifteen years old and feels so timeless and classic I’m actually surprised it’s not older. Wonderfully thematic game that combines tile laying and resource management as players try to build the most attractive cities and lure the greatest population (the game’s victory points) to them. Details like needing water sources to grow beyond a certain point, having to produce enough food to feed your population, and a changing priority system signifying what people value most in their cities each round make this a fantastically deep, balanced game. 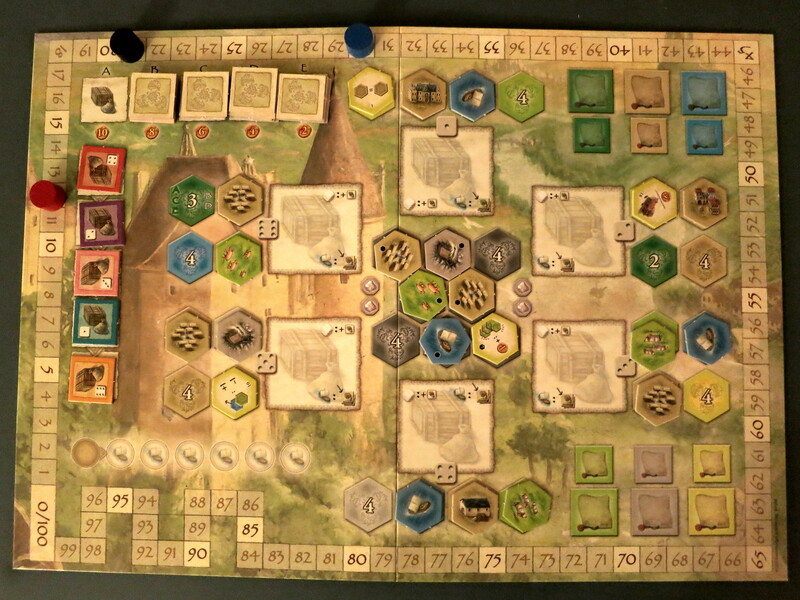 Castles of Burgundy is unlike any other game I’ve played, and it shines in the unusual way uses dice to determine both which tiles a player can buy and which purchased tiles can be placed on their personal player boards. There are a lot of “moving parts” and things to keep track of, but it’s all logically laid out and intuitive once you get the hang of it. There’s tons of replayability and different viable strategies, even before considering the numerous different player boards available. I fall more and more in love with this game each time I play. Tragedy Looper is unlike anything else I’ve played and I adore both the atmosphere and the way its core mechanics combine mystery elements with those of a logic puzzle. It’s somewhat of a tough game to get your mind around, given unusual mechanics and a non-trivial learning curve, but once you do it’s a great mystery game (a genre that’s underrepresented and hard to do well). It’s asymmetric, with players who are time traveling and trying to prevent a tragedy, and a gamemaster that is trying to stop them. There are limitations on possible actions based on the scenario and various stats of the characters being controlled, which is where clues about what has happened and how to prevent it come from. It requires the right group of players, but is highly enjoyable once you’ve found them. Despite tough competition, Princes of Florence is still my favorite game of all time. 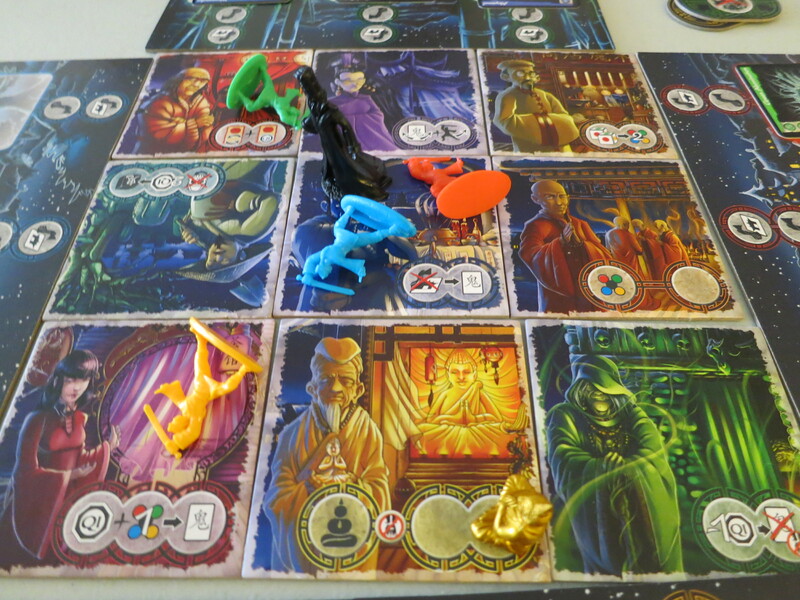 It incorporates what’s usually one of my least favorite mechanics (the auction) in a quick and enjoyable way that enhances the balance of differing strategies greatly. At any point if an opponent’s strategy seems to be working too well, the others players need to be making them pay more for the needed components. The way the different elements that can be purchased and used come together is wonderful and allows deep and varied gameplay. The combination of resource management, strategic choices and maximizing opportunities is just perfect and I could (and probably will) play this a million times. And that’s it for this time. Will be interesting to track how this list changes in the future. What are everyone else’s current favorites? How do you have room for all those games? Although I will note I don’t own everything I’ve written about. A lot of the games featured in the “quick thoughts” articles are friends’. Though the 17 mentioned here are all permanent parts of my collection.